Ciena's Malcolm Loro gives three recurring challenges he's hearing from Utilities providers as they look to modernize their technology and networks. Listen in on any board meeting for an electric utility these days and you’re likely to hear just as much about technology and networks as you are electricity service. That’s because today’s utilities are right in the middle of a major evolution to modernize the electric grid. I spend much of my time listening to the challenges these utilities face and helping them find a path forward. These challenges were discussed in detail at the recent UTC Telecom and Technology annual conference in Denver, Colorado. 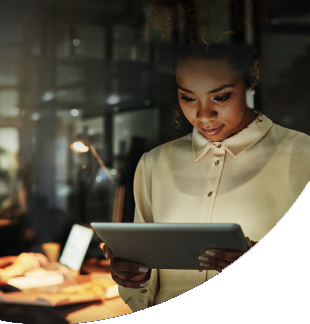 The Utilities Technology Council (UTC) is a global trade association dedicated to serving critical infrastructure providers by driving innovation, fostering collaboration and influencing public policy across the IT and telecom space. I had the opportunity to speak at the conference alongside Arturo Moreno, Principal Telecom Engineer at Salt River Project, about the benefits utilities can realize with converged packet optical networks. Salt River Project (SRP) is one of the nation's largest public power utilities, and Arturo spoke about SRP’s specific experiences modernizing their communications network as they sought to support more dynamic applications, enable real-time information monitoring and control and provide increased electric-system reliability. This talk fit nicely into one of the top-of-mind topics at the conference – the transition from legacy TDM network solutions and services to packet (Ethernet and IP). The term IT generally conjures up images of computers, server rooms, data centers and corporate communications used to perform business operations. IT groups are generally associated with back-end functions to perform operations like billing, revenue collection, asset tracking, and maintaining customer information. OT, or Operations Technology, on the other hand, is associated with front-end field based devices – such as SCADA systems, relays, switches and sensors – which are used to perform actual operations. OT groups are concerned with running the electrical grid, safely, securely and reliably. So IT/OT convergence is an effort to merge and share data between IT and OT management systems to drive efficiencies and convert large amounts of grid data into meaningful and actionable information. Discussions at the conference covered utility goals and challenges, technologies needed to support convergence, internal and external governance drivers and needed organizational changes. How does a packet-optical network help? The key is virtualization; IT and OT organizations can leverage a common, converged packet-optical platform that provides secure and reliable logical separation and prioritization of different traffic types– through separate DWDM wavelengths, OTN timeslots and/or Ethernet virtual circuits. Security and reliability are critical, as sharing critical data between IT and OT management systems must not put the telecom network and critical grid infrastructure at risk, requiring strong partnership between IT and OT groups, leading us to the second topic of conversation. Compliance with the latest North American Electric Reliability Corporation (NERC) Critical Infrastructure Protection (CIP) standards - specifically NERC CIP Version 6 - was a requirement that permeated almost every discussion, not just those concerning IT/OT convergence. Under NERC CIP, utilities are required to identify critical assets and to regularly perform a risk analysis of those assets. Policies are required for monitoring, configuring and controlling access to critical assets, and systems for monitoring security events must be deployed. Cyber (firewall) and physical perimeter security, especially at substations, is required. In addition, utilities must have comprehensive contingency plans for cyber-attacks, and other unplanned disruptions such as those caused by natural disasters. While a key takeaway was that NERC CIP compliance alone does not equal security (i.e. it’s necessary but not sufficient), the good news for the network is that the wider enterprise and carrier markets have been addressing security concerns for many years. Robust security tools – from encryption to user authentication to network-based access controls – have been built into advanced packet-optical platforms. The challenge for utilities is to understand and utilize the array of tools that are already available. The final theme I’ll touch on takes us back to the topic of the session with SRP that I mentioned at the start. Many of today’s electric utility networks still rely on analog and TDM circuits, particularly in substations, to support critical applications such as SCADA and teleprotection. The core transport networks to support these services are typically SONET/SDH. Not surprisingly there is a great deal of concern as utilities face the sunset of legacy equipment and services, with carriers issuing end of life notices. Many of the sessions discussed technical issues to get from TDM to IP as well as the planning requirements to deal with carriers’ plans to discontinue support for legacy TDM services. Largely due to the critical nature of their infrastructure, utilities are risk averse and have been slow to adopt newer packet technologies, and that is particularly true for teleprotection – the use of protection relays in conjunction with communication links to isolate faults on high voltage lines and prevent them from propagating and causing damage and power outages. Teleprotection places stringent requirements for low latency and deterministic network performance and many utilities have concerns about IP – can it meet these demanding requirements? 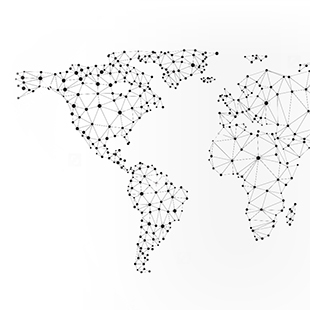 This is where packet-optical networks shine, as operationally they behave much more like the SONET/SDH networks utilities have learned to trust – with low latency, deterministic behavior provided by connection-oriented Ethernet and very predictable resiliency schemes using MPLS-TP or G.8032 ring protection. At our booth, Ciena provided a packet networking proof-of-concept demo simulating substation-to-substation communications using connection-oriented Ethernet instead of TDM. 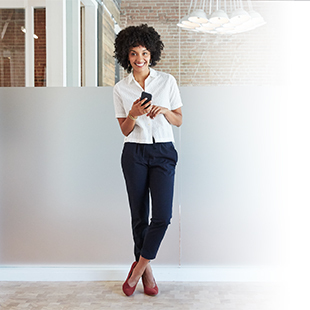 In fact, Ciena has partnered with a leading utility engineering and consulting firm, with expertise in IT/OT substation communications, to offer customers this mobile test setup for hands-on lab trials, including configuration and testing support. 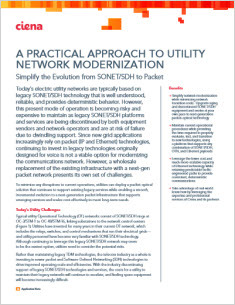 To learn more about simplifying the evolution from SONET/SDH to packet, download our A Practical Approach to Utility Network Modernization. IT/OT convergence; security and compliance; TDM to packet migration. These were not the only topics at the UTC Telecom and Technology conference, but they certainly highlight key areas where packet-networking technology can facilitate the transformations that utilities are undergoing. This was evident at the annual awards dinner on the final night where Ciena and our 6500 Packet-Optical Platform received the Impact Award for Hardware Product of the Year, which honors the UTC Associate Member Organizations making a great impact on the industry through an innovative and proven solution. Thank you UTC; we are honored.